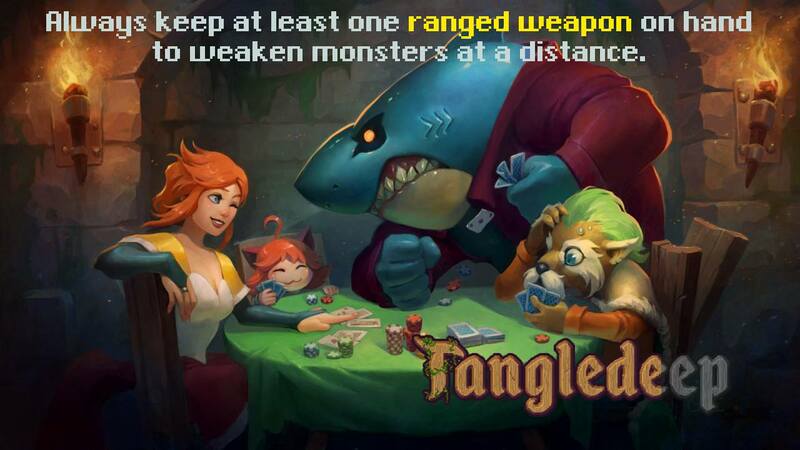 Tangledeep is a roguelike game developed and published by Impact Gameworks. 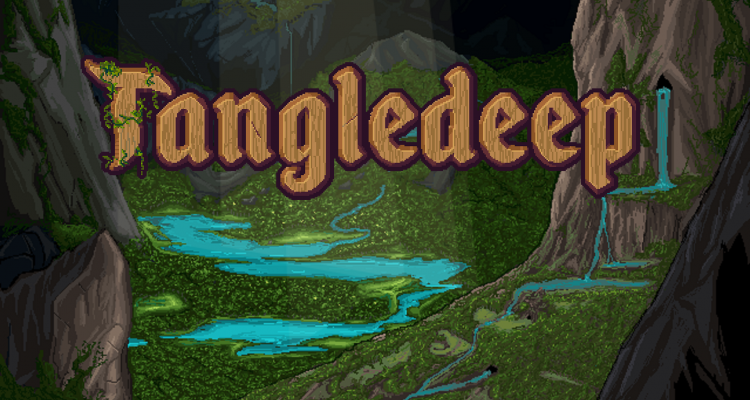 Tangledeep features 16-bit graphics, mixed with the mechanics of roguelikes and dungeon crawlers. 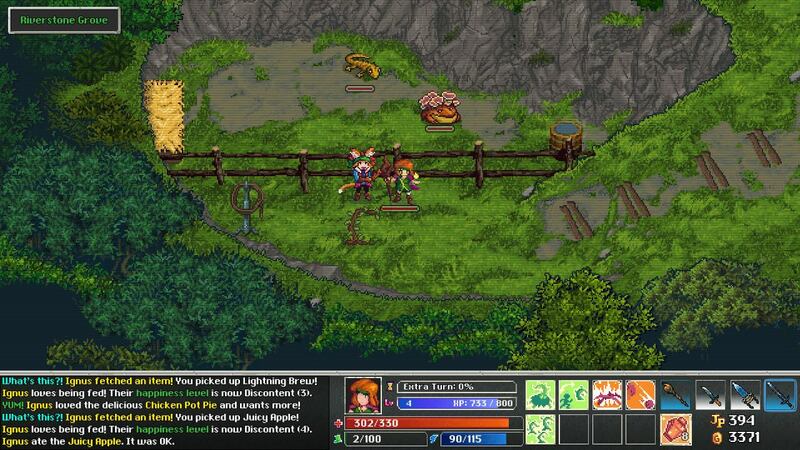 Trapped in underground villages, you must explore the labyrinth that is Tangledeep to learn more about what happened. Experience rich, tactical, turn-based gameplay as you explore a sprawling dungeon that’s different each time you play. Tangledeep features a customizable job system and hundreds of collectible items that allow you to approach each playthrough in a new way. 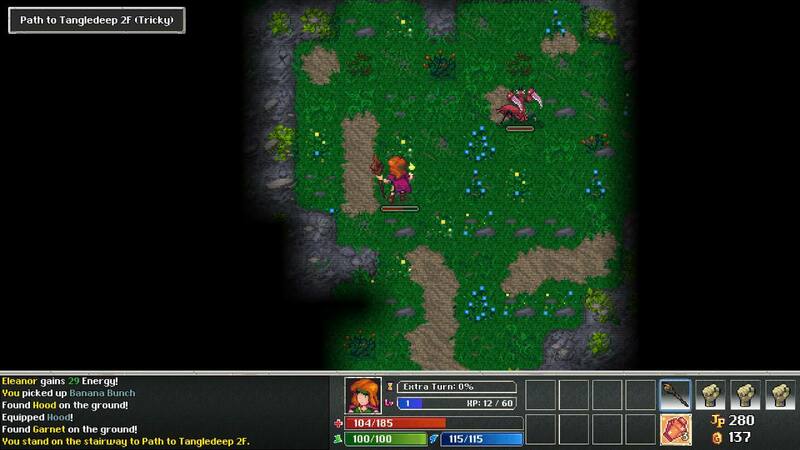 As mentioned before Tangledeep is a roguelike dungeon-crawling RPG. 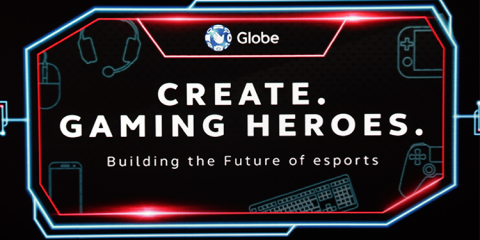 Players will choose from 12 job classes, and start from there. Each class having their own unique style. I personally favored the Floramancer, who uses their magic to summon creatures to fight, while also supporting them with some crowd control and buffs like a wall of plants. You’ll be dropped down in a settlement with different NPCs like the quest giver, storage, weapon mastery, equipment, and food NPC, unlocking more as you delve deeper in the Tangledeep labyrinth. The main game mechanic which is a turn-based system is pretty easy to grasp, and also gives players lots of breathing room to think. If it’s your first time playing, the game does have a skippable tutorial during the first two floors. after which the next floors will vary depending on the world seed you used/got. The game comes with 3 difficulties depending on what you prefer upon death, there is one where a player revives and may continue their game, the second being true to the roguelike game mechanic where death means you have to start over from scratch, the third is how it was meant to be played with death meaning you have to create a new character, but still keeping the progress of the settlement. 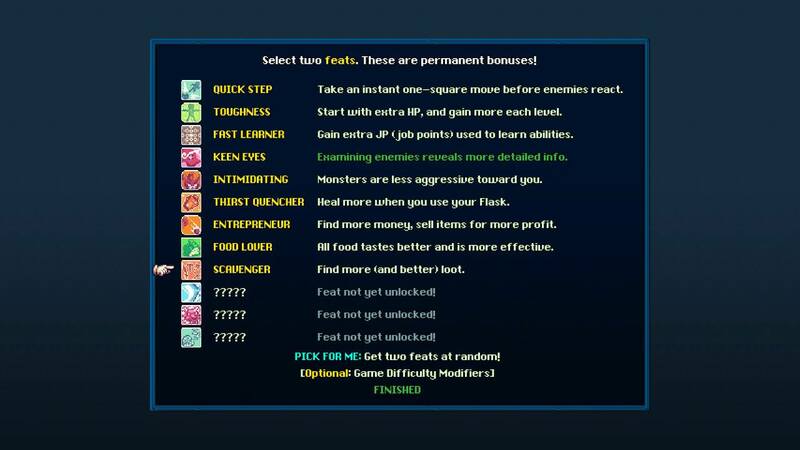 The game also features a monster pet system, like Pokemon, where players can weaken monsters, whack them over the head with a mallet, and bring them to the monster breeder south of the settlement. These monsters can then be used to help you to defeat the unknown dangers that lurk inside Tangledeep, but only after you have gained its trust by feeding it and grooming it. In the same area, you can also plant trees, which will be useful later on in the game. The game uses 16-bit graphics, while also taking inspiration from SNES RPGs. Each character distinct with their own unique look. I’ve seen the Title card intro so many times, and haven’t gotten tired of it yet. Each monster also has unique designs as well, my favorite being the Fungal Toad, because it reminds me of Bulbasaur. A problem I did have was that the jobs didn’t have male and female variations. The music to me doesn’t really do anything for me, though it is very appropriate for the theme, it’s not very memorable to me, and honestly doesn’t change my experience of the game. I have died so many times in the game, a lot of them from my own recklessness, which has led me to stop and set down my Nintendo Switch out of frustration. The game is difficult and is made harder when Pandora’s box is opened, which makes not only the character stronger but the monsters as well. The controls weren’t what I expected. When I first played the game, I couldn’t figure out how to look at the skills of each job on the selection screen, at least when just using the controller. 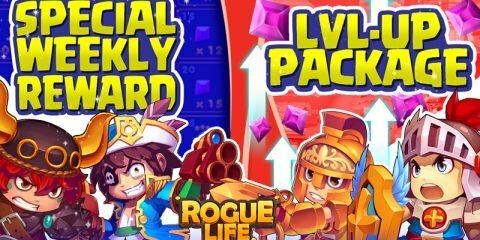 This isn’t me saying the game isn’t fun, It’s definitely fun, but I wouldn’t recommend this to just anyone, especially those new to roguelike RPGs.